When a doctor gives an individual a diagnosis of a disease or illness such as pancreatic cancer, chances are good that they may also give the person a prognosis. It is important to understand what a prognosis is, and what it really means when the doctor gives you one. The pancreas is an organ that is about six inches long, and lies behind the bottom portion of the stomach. It helps us to digest food more easily by producing special enzymes. The pancreas is also responsible for the body’s production of insulin. Sometimes, pancreatic cells can transform and grow out of control, creating a mass or tumor. Cancer cells that form in the pancreas ducts are called adenocarcinomas. These are the most commonly diagnosed, making up around 95% of the cases. Endocrine cancer forms in the insulin-producing area of the pancreas and is atypical and rare. Receiving a diagnosis of pancreatic cancer can be confusing and frightening. The diagnosis comes after a series of tests are run to confirm the cancer is present. During the diagnosis consultation, a doctor may also give your pancreatic cancer a prognosis. This is his or her opinion of how the pancreatic cancer will run its course, what the end-result of the disease will be, and whether it’s likely to recur at a later time in life. Doctors have years of research data and patient statistics available to help them determine a pancreatic cancer prognosis. They also consider age, overall health and the stage of the disease. The type of cancer cells that are present can have a bearing on the prognosis as well. These same factors also contribute to the type of treatment options that may be available. Additionally, a prognosis can change as the disease changes. It can also change throughout the treatment process, depending on how the patient is responding. A person may feel a number of emotions after receiving the news about a pancreatic cancer prognosis. Patients should find someone to talk to, like a counselor, a pastor, or other cancer survivors. These people can help sort through all the emotions, offer helpful advice, give insight and provide hope or comfort. 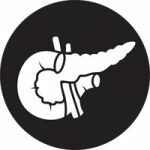 Those who have been diagnosed with pancreatic cancer can take action as well by educating themselves about the disease, its process, and all available treatment options. This knowledge can help patients make well-informed decisions about their overall care. Many types of cancer don’t cause symptoms right away, leaving an individual with a false sense of security. Not many people want to go to their doctor unless they feel bad; unfortunately, waiting until serious symptoms appear can be too late. Several forms of cancer can be detected by a physical exam, or through regular yearly screenings. Early detection can be vital to treatment success. Next Article What are the different types of GI cancer?